How To Hire A Limo To Take You To A Concert So That You Do Not Have To Worry Parking Or Driving! Los Angeles, CA with its known attractions, tours and state-of-the-art rides offers something good for the entire family and colleagues. World famous theme parks like the Six Flags Magic Mountain, Universal Studios Hollywood, and the most visited Disneyland is a sure delight to children and all but the most cynical adults. A visit to world famous studios and world-known cultural attractions is a must have in your LA tour itinerary! Never miss out as well to one of the best activities in LA - shopping! Pasadena, one of the cities around the Los Angeles County, has legendary live music venues, pulsing dance clubs and of course, a variety of live concerts to choose from. You will find lively crowds in the busy streets with fun seekers everywhere for round the clock music entertainment as well! Indeed, there is much to discover in Pasadena and one would need plenty of time to experience all the fun that the city offers! We can drive you and your group to the Staples Center, Greek Theatre, Hollywood Bowl, or anywhere you need to go! If you want to experience the fun that Pasadena offers, Los Angeles CA Limo provides superb limousine service. We work extremely hard to offer the best luxury service for every client. We always strive to put forward a memorable experience that will be etched in our clients’ memories for a lifetime. Our fully attired professional drivers are pleasing and willing to drive you to all the interesting places that you want to see. We will make sure that our classic limousines are made available at your behest, our valued visitors and clients, for we take pride in putting customer satisfaction first with the best California Pasadena Limo services. Feel like a Rock Star! Concert date noted, tickets ready, and most probably, you already have that stunning outfit pulled out. And right about this moment, all you have to do is plan the great transportation. Well, let it be known that LA Stretch Limo service can make an enormous difference in your travel experience indeed! Arrive at the concert with a splash and feel like a Rock star with a grand entrance that oozes of lavish style. Now you don’t have to worry about finding the parking area or driving in chaotic traffic. All you have to do is to get dolled up and be on your heels before the show begins! A skilled and trustworthy limo driver will be designated for your ride as well, so now you can cast away your worries and fully enjoy the night. Even if you are with family and friends, our luxury limo can cater to a group of passengers. And anyone who goes on board our stunning limo vehicles will be pampered in the similar fashion celebrities are. Our chauffeur picks you and your guests and transports you on time in absolute comfort for you to arrive and return home safely. So don’t ignore this opportunity to impress all your friends! 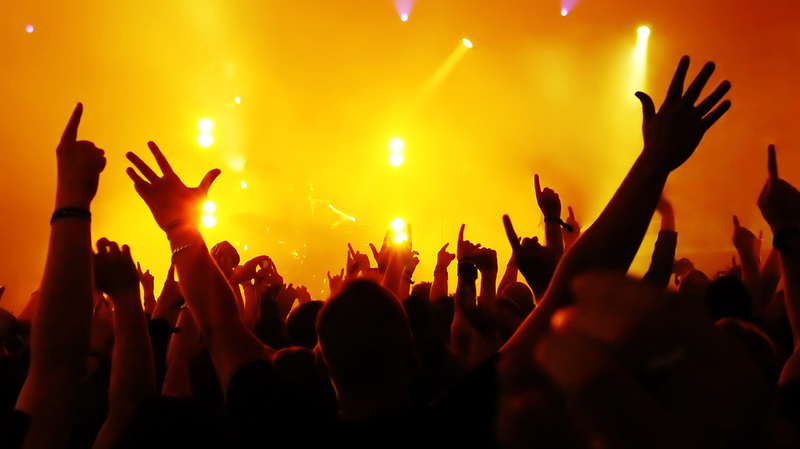 Los Angeles California Limousine Service will make the best concert experience happen. Catch the most excellent rides, customized VIP treatment, safe and punctual service, at very reasonable prices! Experience the perfect limousine journey for your concert expedition and leave the driving to us! Wherever your concert venue is, contact LA Pasadena Limo today for your detailed limo transportation needs! It is engraved deep within us to treat all our customers with elegance and luxury so to deliver on our promise of providing top quality transportation service. So what are you waiting for?